Everybody want to look fresh. Clear, flawless, glowing skin who doesn’t wishes for these? And for this, people are ready to follow all the tips, remedies to make themselves look young and beautiful. 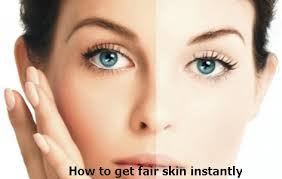 Find out in this article, what is most effective way to get a flawless, fair, and beautiful skin that you wish for? To improve your skin tone naturally, pamper you skin with the natural ingredients, so that it glows beautifully and guess what, with no side effects! This is the best thing about homemade tips, it doesn’t come with any harm! Mix Milk and honey in a bowl and apply on washed and dried face. Massage for 2 minutes. Leave it on the face for 20-25 minutes, then wash the face thoroughly with water. Honey is a perfect cure for pimples and acne. Raw milk is where, an excellent cleanser that improves skin tone. Mix the two ingredients to form a mask. Apply this mask on skin and massage for 2 minutes. Leave it on face for 20 minutes or more. Wash face thoroughly with water. Oat is known best for removing the layer of dead cells from skin. Unflavored yogurt has high percentages of lactic acid that helps in moisturizing the skin. Hence making it skin and glowing. Mix all the ingredients in a bowl and massage well on face, rubbing specifically on the darker areas. Leave it on face for an hour or more. Wash face thoroughly with water. Orange peel has vitamin C that helps in removing dead cell layer, it also removes blackheads from skin. Sandalwood has been used since ages to cure skin problems. Mix all the ingredients to make a mask of a thick consistency. Apply this mask on the face and hands, elbows and other darker areas. Leave it on for an hour or more. Wash your face thoroughly with water. Turmeric powder tends to remove dead skin layer, leaving behind a glowing fair skin. Gram flour where, is best known for removing suntan. Put the two ingredients in blender and make a paste of them. No need to add any liquid as both the ingredients are naturally water enriched. Apply on skin. Leave it on for 20 minutes or more. Ash the face off. Tomatoes has antioxidants that acts as natural sunscreen and removes tanning. Cucumbers, where, helps in lightening skin. Put the ingredients in a blender and make paste. Apply it on skin. Wash the face after 20 minutes or more. 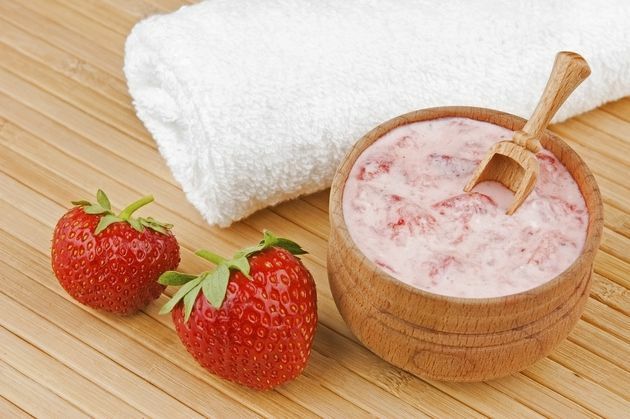 Strawberry helps in lightening skin tone, making the cheeks rosy naturally. Put the ingredients in blender and make a paste, apply paste on face. Leave it until dry. Wash it off thoroughly with water. Mash banana and add egg white into it. Mix well to make a mixture. Apply it on skin, and leave I until it dries out. Wash face thoroughly with water and face wash.
Mash banana, and add almond oil in it. Apply this paste on face. Leave it for 20 minutes or more. Wash thoroughly. Apply lemon juice on face and rub the darker areas of face. Then take the peel and rub it on your face, until the lemon is no juicier and dries out. Wash face thoroughly. Do it on daily basis for a week or a two. This however, should not be done if the skin is extra sensitive.